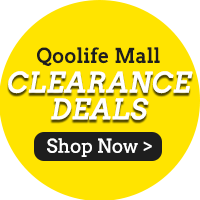 「Qoolife Mall」- [Chip Seng Impex] CHEAPEST IN TOWN! Jin Huang 10KG THAI FRAGRANT RICE! QUALITY RICE! Chip Seng Impex[Chip Seng Impex] CHEAPEST IN TOWN! Jin Huang 10KG THAI FRAGRANT RICE! QUALITY RICE! Worth the price. Will buy again. Cheap with q10 coupon n fee delivery over $50. Shipping id fast. Fast delivery,received next day, 3rd purchase.. Tks seller. fast delivery, received in just 1 day from ordering. Repeated purchase here. Very very prompt delivery. Ordered yesterday and received today. Seller use quite sometimes to response my inquiry. Also the delivery guy send the item to the wrong place, and signed the acknowledgement by his own. Ends up I have to check with my neighbor and he mentioned a big box just out in front of his door steps without inform, and he found that the name of the mailing stickers is not belongs to him, thus he return to us based on the address indicated in on the sticker!! Received in good condition, 2x 10kgs packed in a carton delivered in the evening. First time purchase. Received in good condition. The rice is out of stock. When are you restocking? Hi seller, how come keen return with error when I want to buy 2 & u hv 200+ in stock? How to have free delivery when only limit 2 qty? Only 3 qty exceed the free delivery amount. Hi, my order (cart no: 12562863) was placed on 2 March, but not delivered yet. It has been 8 days. Can you please look into it as we are running out of rice. Thanks! Rice has been confirmed to deliver to you by 14 March (Thursday) you should be able to receive it before then. If I purchase before 17 Feb, I’ll automatically be entered to the lucky draw? Y no more free 1kg rice? No more free 1kg rice?